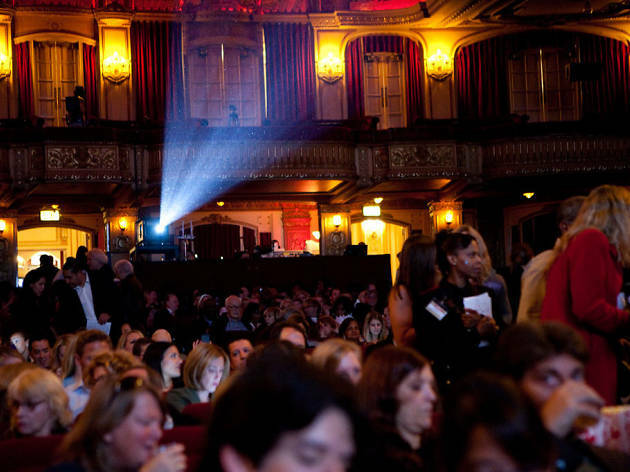 It's easy to get distracted by the big names and major releases that screen each year at the Chicago International Film Festival, but there's a lot more to enjoy at this annual cinematic event than getting a sneak peak at studio films that will be available in theaters in a matter of weeks. 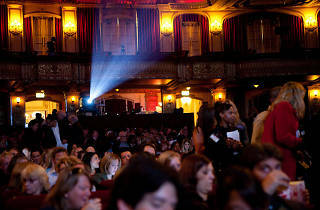 If you're not sure where to start, check out our tips for making the most of your film festival experience. You may have noticed that the festival's schedule has a handy color-coded list of the various groupings that the films fall into. If you're not sure where to start when choosing a film, pick a color and go with it, there are plenty to choose from. Check out "Spotlight Scandinavia" (light blue), which collects acclaimed movies from Denmark, Norway, Sweden, Finland and Iceland, or "Cinema of the America" (light green), which explores the countries of South and Central America. Or stay local with "City & State" (grey), highlighting Illinois filmmaking. There are also a handful of programs celebrating diversity including "Black Perspectives" (purple), "Reelwomen" (pink) and the LGBTQ-themed series "Out-Look" (rainbow). Despite the shrinking attention spans of audiences, short films aren't seen much outside of the preceding minutes of Disney and Pixar releases and, of course, film festivals. For the cost of a single screening you can see multiple films from different countries and in various languages and if a particular film doesn't suit your taste, at least you know it'll be over in a few minutes. This year's fesitval has a whopping nine shorts programs, with varying themes. The showcases of locally made films and animated shorts are always popular, but there are plenty more to choose from including "Midnight Mayhem," a late-night horror-themed collection and "Meet Not So Cute," an assortment of love stories. This is an international film festival, after all, so why not take the opportunity to take a cinematic to a journey to country you're unfamiliar and language you don't know? There are films available from all over the globe including Chile, Latvia, Macedonia and Kazakhstan. Don't let the subtitles scare you. Buying tickets to the film festival can be a bit complicated, but that partially because there are a lot of ways to get more bang for your buck. Weekday matinées (anything before 5pm) are only $7, while late-night screenings after 10pm are $10. If you're planning on seeing a whole lot of films, get yourself a pass to save money on ticket prices for regular films. The Moviegoer Pass gets 10 regular admissions for $130 and the Passport Pass is $240 for 20 tickets. Lots of filmmakers show up to the fest, so keep an eye out for screenings that come with filmmaker Q&A that give you an opportunity to picks the brains of directors, actors, writers and other crew members. Additionally, there are also several panels and events focusing on various aspects of the film industry and most of them are free of charge. Don't be afraid to chat up the industry folks and tell them how much you loved their movies; they'll be happy to hear it.